For many, the concept of videogame addiction seems far-fetched, particularly if their concepts and definitions of addiction involve the taking of drugs. This paper overviews the small, but growing area of videogame addiction and then examines the treatment options available for those affected by excessive videogame playing. An overview of the available empirical literature appears to indicate that adverse effects are likely to affect only a relatively small subgroup of players and that frequent players are the most at-risk for developing problems. Worldwide, there are relatively few practitioners that specialise in the treatment of videogame addiction and this may be because there are so few players who are genuinely addicted to playing videogames. However, the Internet may be facilitating excessive online game playing as evidenced by the increasing number of specialist addiction treatment clinics for online videogame addiction. 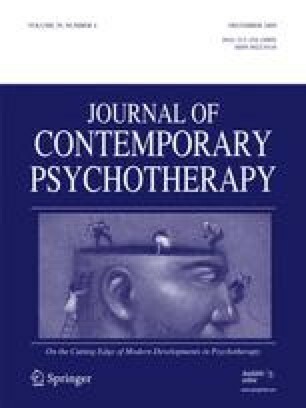 This paper overviews the various approaches that have been used as an intervention in treating videogame addicts, including online support groups, 12-step programmes, behavioural and cognitive-behavioural therapies, and motivational interviewing. Griffiths, M. D. (2009a). The use of online methodologies in data collection for gambling and gaming addictions. International Journal of Mental Health and Addiction. doi: 10.1007/s11469-009-9209-1. Hussain, Z., & Griffiths, M. D. (2009). Excessive use of Massively multi-player online role-playing games: A pilot study. International Journal of Mental Health and Addiction. Published in Online First: doi: 10.1007/s11469-009-9202-8. King, D., Delfabbro, P. & Griffiths, M. D. (2009). The psychological study of video game players: Methodological challenges and practical advice. International Journal of Mental Health and Addiction. Published Online First: doi: 10.1007/s11469-009-9198-0.